PERISAI succeed break through bolinger band squeeze. 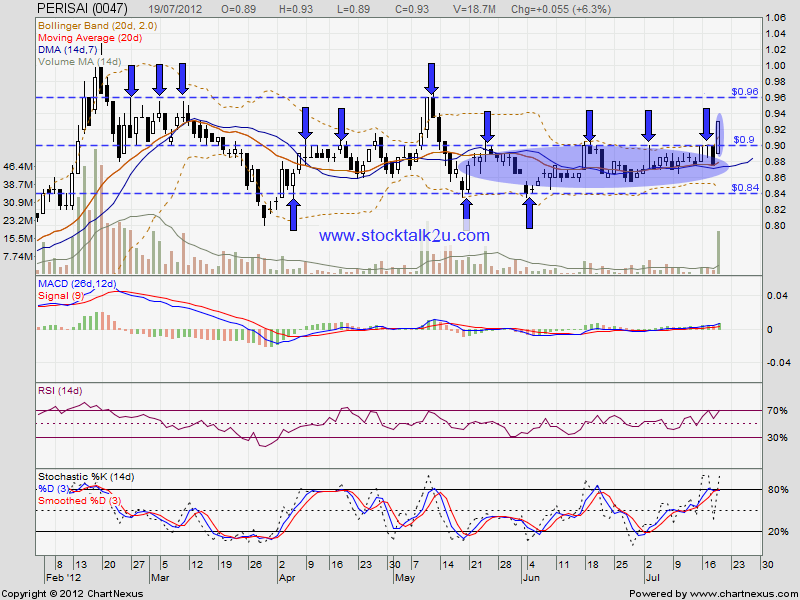 High potential will retest RM1.00 psychology level. If the bull strong enough, potential break through & go higher. 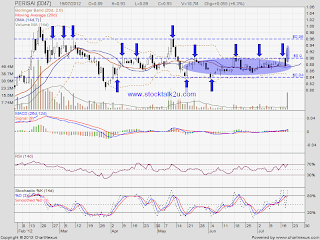 If retrace down, immediate support @ MA20 / MA50 level.